Eastern Creek is set for a new motorsport experience with Australia’s first ever permanent indoor motocross stadium. 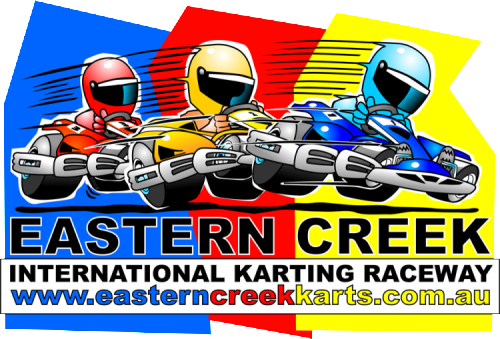 The $5 million project – to be known as Sydney Indoor MotoX Park – will be located within the Eastern Creek International Karting Raceway precinct, which will celebrate its 20th anniversary in December. Builders of the Park are endeavouring to have it open in line with the 20th anniversary celebrations of the karting facility. As part of the celebration, the karting facility will change its name to Sydney Premier Karting Park. The Sydney Indoor MotoX Park is the first of its kind in Australia and the 12,000 square metre facility will be housed in a revolutionary, climate controlled, air-filled membrane dome, which has been specially constructed in the United States. Sydney Indoor MotoX Park will house three separate racetracks that can operate independent of each other. They are being designed by a yet-to-be-named internationally renowned motocross track constructor. Operating in line with the karting facility from 9am to 9pm daily, a cafe, retail outlet and stadium style seating for up to 6,000 spectators will all be part of the Park. It will cater for varying skill levels from entry-level juniors right through to professional motocross racers looking for the edge on the competition. Upgrades to the roads into Sydney Premier Karting Park will be part of the construction process to assist in advancing its position as Sydney’s leading corporate adventure and entertainment venue. Located just off the M4 Motorway, riders heading to Sydney Indoor MotoX Park can bring their own bikes or hire one of the fully maintained bikes on-site – which will provide numerous levels of power depending on age and skill level. CCTV will monitor all tracks, trained first aid practitioners and mechanics will all be available to those wishing to challenge themselves, whilst future plans include training camps from some of Australia’s best known motocross riders. 100 per cent privately funded, the major upgrade to the karting facility at Eastern Creek will be a solid addition to sport in Blacktown City Council’s recently announced 20 year transformational project. Council projects the City’s population will grow from the current 350,000 to 522,000 by 2036. Already Blacktown’s economy – at $14.2 billion annually – is larger than that of 87 nations. With full backing from the NSW Department of Sport and Recreation, the Sydney Indoor MotoX Park will ensure that dirt bike riders have a new, legal and safe home in Sydney. It will open the sport up to a new audience that may not previously have seen motocross as a recreational activity or potential career. It is the brainchild of lifelong dirt bike rider and motocross fan, Mattew Bartolo and was borne out of his frustration of having a lack of places to ride with his children. “If you live in the Western Sydney corridor from Parramatta through to Penrith, you can drive for up to two hours before you find somewhere suitable to ride,” Mattew Bartolo explained. Founder and Managing Director of Sydney Premier Karting Park, Garry Holt couldn’t be more excited about the transformation of his facility. “Two and four wheel enthusiasts now have a home day and night, seven days a week right on the M7/M4 corridor. Changing our name to Sydney Premier Karting Park will celebrate the 20th anniversary of the karting facility and represents the shifting tide of Sydney’s population, which is migrating toward the City of Blacktown on a daily basis. Mayor of Blacktown, Councillor Stephen Bali welcomed the plans for Sydney Indoor MotoX Park and sees it as forming a tremendous part of the City’s sporting landscape as it pushes towards its recently announced 20-year transformational plan. “Blacktown is known as a sporting city and thousands of motorsport enthusiasts – whether competing or spectating – are catered for in our city on a yearly basis through Sydney Motorsport Park, Sydney International Dragway and of course, Sydney Premier Karting Park. “The addition of Sydney Indoor MotoX Park is something completely new to Australia – let alone our city. It will be a safe, world class and most importantly – legal – facility for recreational dirt motorcyclists to enjoy their sport and compete year round. Plans for Sydney Indoor MotoX Park are in the final stages of submittal and construction is expected to begin soon enough to achieve completion by the target date.